What we are seeing is a grasping, blinding, lust for power and wealth, rather than a love for life. We see it in how it affects human life, and all life really, including the life of this planet. I think if we each take a step back, a step out of our identifications, a step away from our screens, and just sit for a moment. Just sit and breathe. Just sit as a simple human being with all that makes us so – one quality stands out, our capacity to have empathy. That’s what is presently lacking: empathy. Without it, we lose our humanity. And I do believe we are dancing dangerously on the brink, led by a pied piper or team of pied pipers, toward increased suffering and loss. It is already happening. There is a wonderful Rumi quote, “Sit, be still, and listen, because you’re drunk and we’re at the edge of the roof.” The drink of those currently in power is narcissism paired with a world view that in its exclusion of the “other” denies a basic universal truth, we are not separate. A world view that says we are somehow separate from everyone else is a lie. Plain and simple. What is being fed to us is a lie. It goes against nature, life, and the better part of our humanity. It puts profit over the health and lives of others. It excludes and fears anything it deems different. It proposes a false security through walls, aggressive laws and violence. Put yourself or a family member in the place of the person who suffers health issues while on a fixed or limited income. Put yourself or someone you love in the place of the undocumented person now being separated from their children or spouse, having to leave the home they’ve known for decades. Put yourself or a friend in the place of a person who is seen as evil based on their religion, because fanatics have committed atrocities under its name. Put yourself in the place of someone who is seen as an abomination, because of who they love, yet they continue to love. Put yourself in the place of someone who lost their job, who feels like they are drowning in life and unable to provide for their family. This is called empathy. And it is our greatest weapon against the tyranny of authoritarianism. Empathy aligns us with each other, it aligns us with life. 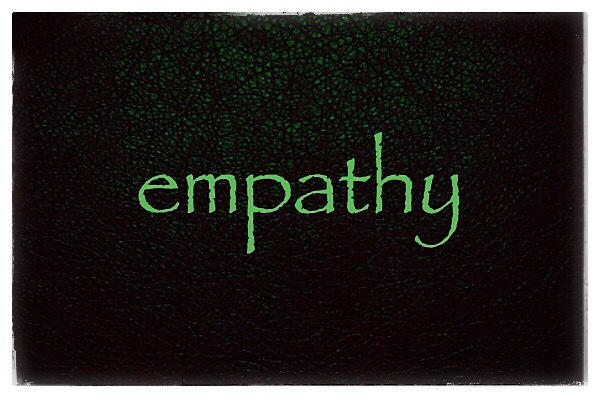 Empathy opens our heart and draws out our other great weapon – compassion. Compassion is a boundless and fierce power. This current trial is beyond political or religious affiliation. It is a human challenge, calling all of us to respond together as one family, one community to defeat the lie of separateness, to pull the walls of this harmful ideology down.